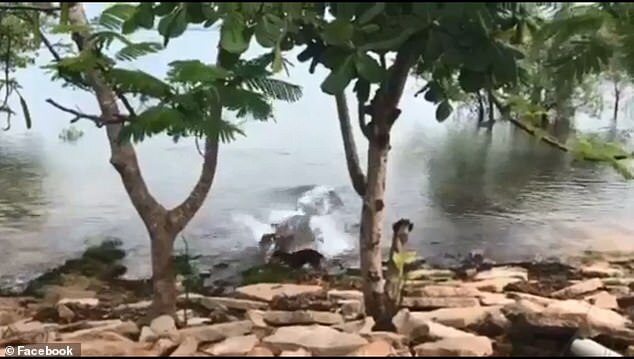 This is the shocking moment a crocodile pounced on a dog playing at the water’s edge and dragged it to the depths below. 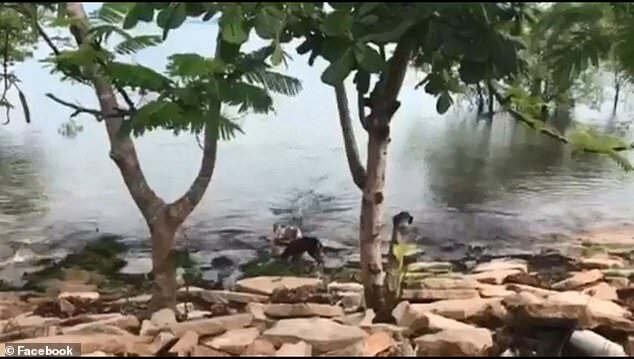 Graphic footage, filmed by a school teacher in front of horrified children in Cape York, Queensland, shows two dogs playing on some rocks near a river. One dog, with white fur, walks past the other to get closer to the water. Meanwhile, a huge crocodile slowly sneaks up on the two dog. When it gets within a metre of the white dog, it pounces, catching it squarely between its jaws. Children can be heard screaming as the crocodile attacks. The crocodile then takes the dog under the water to drown its prey. 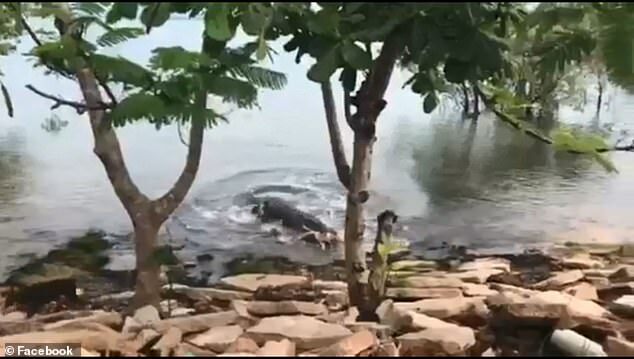 The black dog escapes unhurt and can be seen scampering away from the water. The crocodile attack took place along PK River, which runs behind the Injinoo Primary School in Australia’s remote far north. The video attracted hundreds of comments on Facebook, with many criticising the person filming for not alerting the dog. Another commenter named Melinda Henderson said the video was hard to watch but hoped it raised awareness of the danger of crocodiles. She wrote: ‘It makes me cringe to watch and wouldn’t have been nice for the kids to see.